In 10 or 15 years, will there be gritty cable dramas about the making of gritty cable dramas? Networks like HBO and Showtime clearly hunger to get behind the scenes of culturally galvanizing art, and they haven’t had much luck digging into the world of rock and roll, with HBO’s Vinyl and Showtime’s Roadies not making it to a second season despite the formidable, rock-loving filmmakers behind the scenes. For the moment, both premium channels seem to have moved on to try their hands at stand-up comedy. 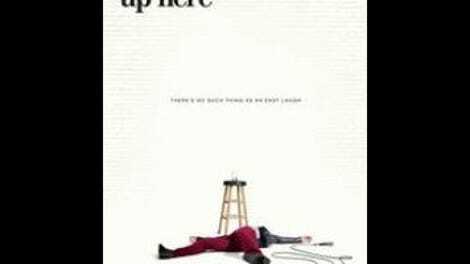 This time HBO takes on the contemporary scene, with this spring’s already-renewed Crashing, and Showtime exploring the smoky, debauched ’70s with I’m Dying Up Here, a fictionalized adaptation of William Knoedelseder’s book about the comedy scene in Los Angeles. It’s an easy baby step to make, because as an old adage goes, all comedians want to be rock stars and all rock stars want to be comedians (tellingly, this adage seems to be repeated more by comedians than by rock stars). I’m Dying Up Here centers on Goldie’s, a fictional comedy club intended to evoke L.A.’s famed Comedy Store, and there’s just as much debauchery, bravado, and drug use as in typical stories about rock and roll in the ’70s and, if anything, there’s more pettiness and jealousy, as comics elbow for space on Goldie’s main stage, which can be a springboard to the recently relocated Tonight Show. The pilot of I’m Dying Up Here cements the rock/comedy connection by introducing a major character via his slow-mo walk through a crowded Sunset Strip hotel lobby, swaggering with a six-pack (of beer, not muscles; these are comedians, remember) to the tune of “It Ain’t Easy” (later, a background record store advertises Aladdin Sane as the show’s creators are saying, we know, we know, this is the Bowie record that was actually just out in 1973, the year the show takes place). In the episode’s first of several non-surprising fake-outs, that character turns out to be a guest star: Sebastian Stan, the Winter Soldier himself, playing Clay Appuzzo, who is checking himself into a hotel to watch himself get called over to Johnny Carson’s couch. This is the ultimate sign that a comic hasn’t just been booked onto Carson’s show but anointed by the man himself – and I’m Dying Up Here is full of details like that, which is to say things that are true but also likely to be familiar to the comedy nerds this show is supposed to be aimed at. Funny distinction, isn’t it, the “comedy nerd”? Perhaps not as seemingly incongruous as “beer nerd” or “sports nerd,” because plenty of comedians do have a nerdy-like inability to communicate with “regular” people, but still an odd distinction for people who pay close attention to the sometimes aggressive, presumably spirit-crushing, and often outgoing world of stand-up comedy. Clay Appuzzo, for example, comes across much more like a rocker than a comic, because he’s handsome, confident, and steps into traffic to kill himself after he watches his Tonight Show segment. It’s not 100 percent clear, at first, that he’s killed himself, but by episode’s end, his ex-girlfriend Cassie (the invaluable Ari Graynor) is pretty convinced, and we are, too. The shift away from Clay’s point-of-view is smooth enough, though, because this is a big ensemble: There’s Goldie herself, played by Melissa Leo in a performance that sometimes recalls Carol Kane not in hilarity but in her frenzied, over-the-top delivery; a couple of young guys from Boston, Ron (Clark Duke) and Eddie (Michael Angarano), who arrive in Los Angeles to get a leg up from Eddie’s old buddy Clay, only to find out that he’s no longer available; Adam (RJ Syler), a young black comedian struggling to make it; and several more comics buzzing around the Goldie’s scene. Those are just the regulars; the pilot also has guest turns from recognizable faces like Dylan Baker (as Carson! ), Alfred Molina (appearing as part of a camera-snakes-around-the-club sequence as if attempting to crossbreed stray elements of Boogie Nights), Robert Forster, and Cathy Moriarty. That deep bench is a strength of the show one episode in, because anytime a storyline starts to feel a little hoary, creaky, or self-consciously “dark,” there’s a cut to another one, usually anchored by a likable performer or two. It’s especially great to see Graynor back in action, cast both with and against type. She’s made a name for herself as a terrific comic actress, but Cassie’s off-stage stuff is pretty serious as she struggles to get taken seriously (while also getting laughs) in a male-dominated field and tries to find a stronger voice. But it’s a shame that this process is illustrated by a scene where Cassie drops the exaggerated Texan accent she’s been using in her somewhat generic Southern-life bits and, while on stage, comes up with essentially a whole new routine in the moment that just happens to spring from her grief over Clay and communicate exactly who she is, all in the span of about five minutes. I’m sure this has happened to some comedians before, but I’m Dying Up Here doesn’t put much thought into the mechanics of how this actually happens in a comic’s head. After taking some tough advice from Goldie to heart, Cassie pauses dramatically, launches into a serious monologue, and finds her new jokes. I’m also apprehensive that the show considers Clay such a sage truthteller that he appears in Cassie’s visions to advise her on these matters. Maybe that business is out of the way post-pilot; we’ll see. For now, that’s the basic story arc of this first episode: Cassie loses an ex but finds her voice. Eddie and Ron find a place to stay in Los Angeles, but it’s literally inside of a closet. Goldie blusters around. Adam is subjected to a deeply creepy side gig through a pastor. The most interesting dilemma in the episode has little to do with comedy, instead addressing whether Cassie should share her strong hunch (semi-confirmed by a postcard left for her) that Clay’s death was not accidental with his parents and/or the press. The moment where she essentially trades stage time for Goldie’s input on this decision has a bracing chilliness the rest of the pilot doesn’t match. Still, there’s enough hustle and bustle to this first hour of I’m Dying Up Here to lend this starry, briskly paced show some promise. Hi, I’m Jesse, and I’ll be taking you through the first season of I’m Dying Up Here! My usual thing is writing about movies but I watch some TV, too, and I find comedy fascinating because it seems so mysterious to me in a lot of ways. It’s not something I could ever do, which is another way I associate it with performing music. Pilot director Jonathan Levine has made some comedies I like (Snatched; The Night Before). Here, he seems to be going for medium-level prestige TV, where the director doles out some heavy cinematic touches (that long club tracking shot; a drug-fueled scene with Leo with haloed backlighting and canted angles) occasionally, but not consistently. I go back and forth on whether we should expect (good) movie-level shot composition, editing, etc., from a TV show that’s really more about story and characters. To my layperson/critic eyes and ears, it seems like making convincing “fake” stand-up material ought to be easier than faking a rock band. Yet only some of Dying’s snatches of stand-up really connect, and it’s hard to tell if that’s an intentional effect, a failure of the writers to consult with comics willing to give them some A-level material, or somewhere in between. Also, some of the on-screen comedians (especially Clark Duke) sound vaguely contemporary in their delivery, which makes the references to Roe v. Wade and pet rocks in their bits seem all the more gratuitous, doing the heavy lifting of rooting the show in its period. We’ll see if I’m Dying Up Here can measure up to the gold standard of shows about the art of comedy: Studio 60 On The Sunset Strip. Just kidding; that show was the worst! You could probably write some pretty good comedy sketches by asking Aaron Sorkin for ideas and then somehow writing the opposite of whatever he thinks a comedy sketch should be like.